The Sauce Era in Cleveland, Ohio, began, as fans had every reason to anticipate, with a win. 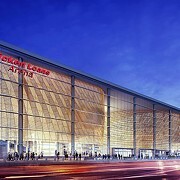 The new-look Cavaliers triumphed over the visiting Knicks at the construction site known as the Quicken Loans Arena (107-104) in what was slated to be a “tank for Zion” shitfest. And yet, diehards were treated not only to a 10-piece chicken McNuggets, but several minutes of exhilarating first-half basketball. Kevin Love, in his second appearance since the long-term toe injury that built this season’s coffin, looked Zeus-like in limited minutes, collecting rebounds with his superior positioning and knocking down free throws with ease. Only his outlet passing and conditioning will require some touching up in the coming weeks. Sauce Castillo, (Nik Stauskas), resplendent in Rodney Hood’s numero uno, played 20 minutes off the bench in his debut appearance with the Wine-and-Gold-and-Orange-and-Blue-and-Black-and-occasionally-light-blue-and-whiters. He did so poorly, battered, no doubt, by the emotional anguish of a chaotic trade deadline. 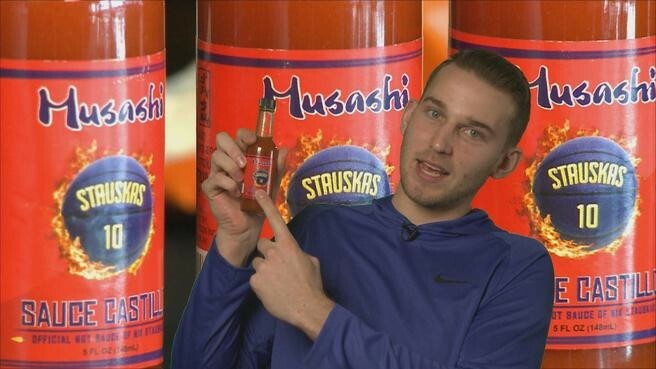 In the days leading up to last week’s deadline, Hot Sauce Castillo might as well have been hot potato Castillo, shuffled first from Portland to Cleveland in the Rodney Hood trade (in which the Cavs acquired two second-round picks), and then from Cleveland to Houston in a three-team deal that netted the Cavs Brandon Knight and Marquese Chriss, who have instantly become the Cavaliers’ two most dangerous three-point shooters, Sauce excepted. Houston then sent Sauce to Indianapolis, and the Pacers waived him right away, allowing Cleveland to sign him for the remainder of the season. As the Akron Beacon-Journal’s Marla Ridenour reported yesterday, Sauce traveled from Portland to Cleveland but then just stayed here. Both Houston and Indy told him to “stay put,” suggesting that the complex itinerary was likely choreographed so the Cavs could land him permanently. Standing at 6’6", Sauce is a formidably bodied wing, weirdly more Sam Dekker than Matthew Dellavedova in gait and mien. Still, he failed to make much of a mark defensively. 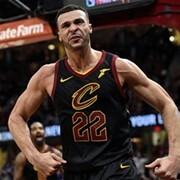 Among his rusty statistics Tuesday night (1-9 shooting, 1-7 from deep), the low-mark was surely his +/- differential (-16), which indicates the team’s performance while a given player is on the court. His first bucket, though, a silky three-pointer with 10:00 to go in the third, will resound in Cavs lore for years to come. Rust is to be expected. Sauce is no doubt getting the measure of his new teammates and their precious few offensive sets. He had at least one crisp pass to an open corner three-point shooter that the shooter badly missed, and occasionally looked skittish and lamblike, a beat or two behind on his defensive assignments. He did tally a block (!!! ), the only Cavalier other than Larry Nance Jr. to do so. The Cavaliers, recall, are well on their way to becoming the worst shot-blocking team in NBA history. Sauce Castillo might have other ideas! One thing Sauce doesn’t need to get the measure of, reportedly, is Cleveland, Ohio. In a clip that will surely endear him to fans, he told reporters Tuesday that growing up in suburban Toronto, he was a huge LeBron James fan — what youth basketball player wasn’t? — and asked his parents for trips to Cleveland to see LeBron play every Christmas. SAUCE ERA: ACTIVATED. In other news, Marquese Chriss, who is only 21 years old — “years of age,” in play-by-play parlance — showed flashes of potential brilliance in a bench role. The 6’9” forward scored 14 points and grabbed seven rebounds. Brandon Knight, too, the seventh-year guard from Kentucky, made 3-4 from deep after making 3-3 in his first game with the Cavs. That shooting performance should qualify in anyone's book as scorching.